It’s The Last Mile to Office 365 Stupid! In both the Ignite 2017 and 2018 conferences, Microsoft spent a lot of time to get the message across to Office 365 tenants that problems in network connectivity are often due to issues in the last mile. In other words, the problem lies in getting traffic from client workstations through the customer’s network to the internet and on to Microsoft’s network. Once data reaches Microsoft’s network, ultra-fast dark fiber connections make sure it gets to the right place without delay. 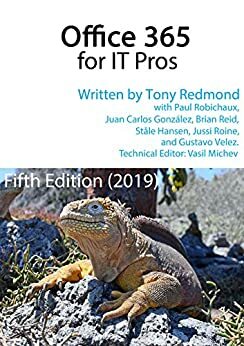 We include a curated set of links to Ignite presentations, Microsoft white papers, and other guidance about network planning in Chapter 2 of the Office 365 for IT Pros eBook. Last week, Microsoft added another useful tool to the set available to tenant administrators in the form of a proof of concept for a Network Performance Tool. As Microsoft say, they’re starting with small steps and the current release of the tool focuses on the network egress location (where your traffic hits the Microsoft network) and the Office 365 front door server (the first Office 365 server that handles your traffic). Other tests will follow as Microsoft develops the tool. You can run the tool to check your network performance to Office 365 by connecting to it with a browser. I ran the tool several times from different workstations and got different results, even though all workstations were connected on the same Wi-Fi network. In most cases, the tool reckoned that both my network access and front door server were in Dublin, but sometimes the front door server moved to London. The Dublin result was expected because my house is within a few miles of Microsoft’s Office 365 datacenters in Dublin. Being told that my front door server was in London was harder to explain because my tenant is in the Office 365 EMEA datacenter region (Dublin, Amsterdam, Vienna, Helsinki) and the UK datacenter is in its own region. The tool also compares your data with that of other customers. While happy to see that I had good performance, I couldn’t quite work out what I could do better to get excellent performance. My connection is simple: local Wi-Fi network to local router to ISP to the internet. There’s not much to improve other than increasing the performance of the internet connection. Other tenants will be in the same situation. You can do your best to deploy a solid internal network, but cloud services all depend on the ability to transmit information across the internet to the cloud provider. I’ll wait for my ISP to improve their performance and will use the tool as Microsoft improves it from the POC state to check whether I ever approach excellence.